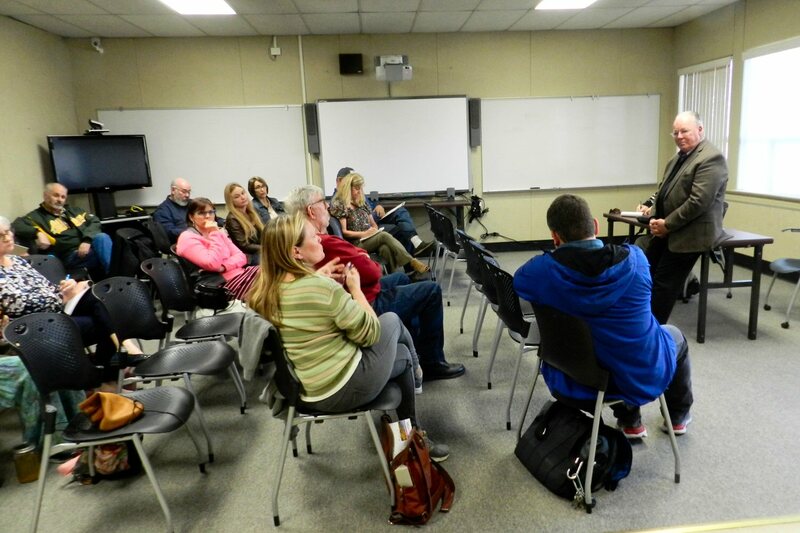 On Wednesday evening March 20, 23 people attended a meeting with consultants from Leadership Associates to express their desires and opinions regarding the selection of a new superintendent for the Fall River Joint Unified School District (FRJUSD). Leadership Associates is an executive search firm that has assisted many California school districts to select their school superintendents. The Board plans to have a new superintendent selected and approved by the regular board meeting on June 14. The new superintendent will begin on July 1. The purpose of the March 20 meeting was to get input from staff and community members. The meeting of parents, teachers, staff members and concerned citizens from the community was moderated by consultants Rich Fischer and Tom Changnon. Fischer began the encounter by explaining the selection process. Leadership Associates hopes that through advertising and active recruitment they will find a pool of possibly up to 14 applicants. The deadline for applications is April 17. During April and May they will complete comprehensive reference and background checks on applicants to identify applicants who are most qualified and suitable to the district. In May the FRJUSD Board will meet with the consultants to review the applications and select the candidates to be interviewed. The Board will then interview selected candidates. Final decision on who is to be hired will be the responsibility of the Board. Fischer then asked three questions. First he asked what qualities people would like to see in their superintendent. People responded that they would like someone who is inclusive and cooperative; who is aware of and amenable to the Intermountain climate; who is up to speed on developing trends in technology; who has a background working in similar small rural, diverse districts; whose heart is committed to the welfare of the students; who is knowledgeable about finances and capable of generating revenue; and who is capable of making difficult decisions if necessary in matters concerning such issues as layoffs; and who is able to deal with issues of busing in a large geographic district. As for character, people responded that they wanted a person with good people skills, who is committed to the community, and who is aware of and dedicated to helping at-risk youth. The second question presented to the audience was “How do you sell this place? What are the advantages of living here?” People emphasized the diverse nature of volunteerism by individuals and organizations supporting the district. They praised the commitment of teachers and students. They said that a superintendent could be proud of the results that the district could achieve and derive personal satisfaction. Some stressed the beauty of the environment and the recreational opportunities such as fishing, hunting, hiking, boating, etc. One gentleman pointed out that there are numerous grant opportunities for rural districts available to fund specific programs from foundations. Finally, Fischer asked what challenges the new superintendent might face. One challenging issue involved recruitment and hiring of qualified teachers, staff members and bus drivers. Another involved becoming familiar with the diverse backgrounds of students and the variable nature and needs of the nine different sites that make up the district. Another addressed balancing academics, sports, and other activities for students. After a rich discussion on the three questions, Fischer concluded the formal meeting but many participants remained behind to carry on the conversation amongst themselves and the consultants. Anyone who was unable to attend but would like to offer input into the selection process is encouraged to take part in an online survey at the FRJUSD website at http://www.frjusd.org/frjusdsuperintendentsearch. 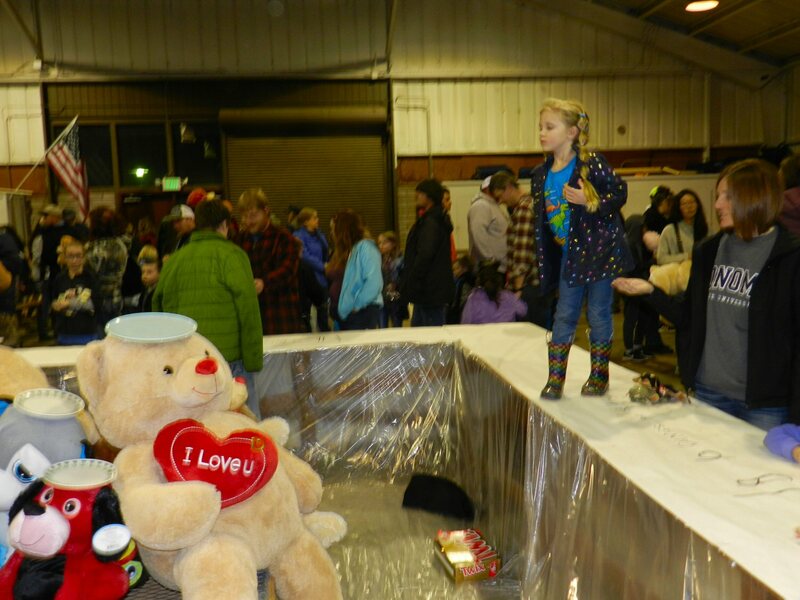 For more than forty years the fireman’s carnival has been raising money for the McArthur Fire Department. 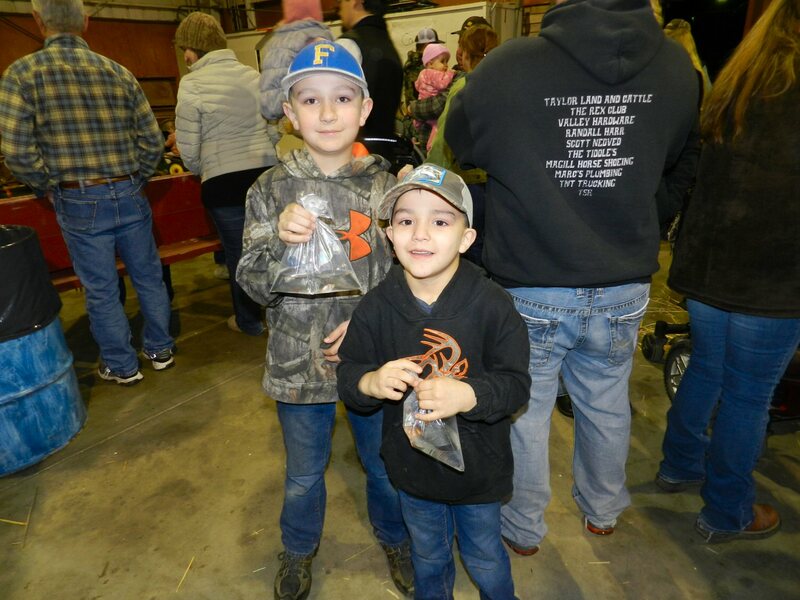 This year, Saturday evening March 2, hundreds of children and parents came to the Inter-Mountain Fairgrounds to win prizes in a dozen different events. Meanwhile in Ingram Hall over a hundred people enjoyed playing Bingo for prizes. 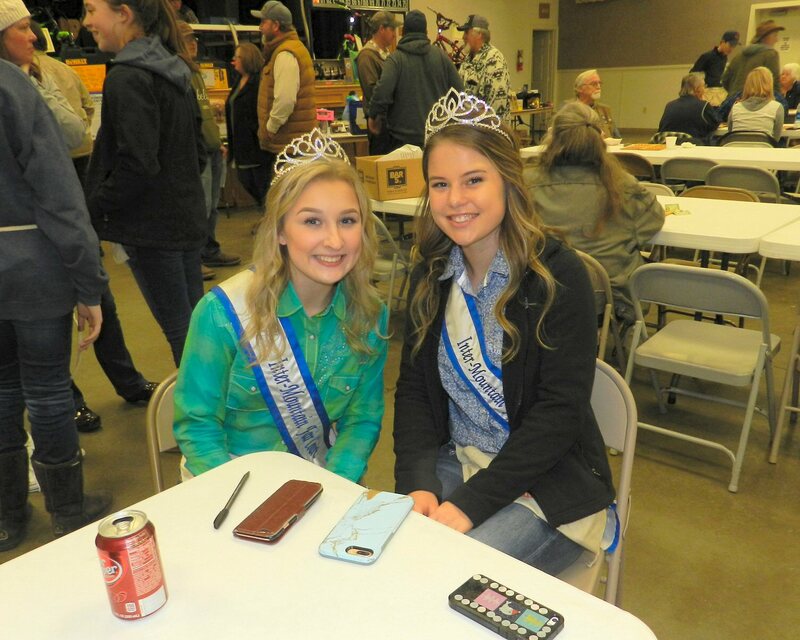 This year Inter-Mountain royalty was there to assist the Carnival. 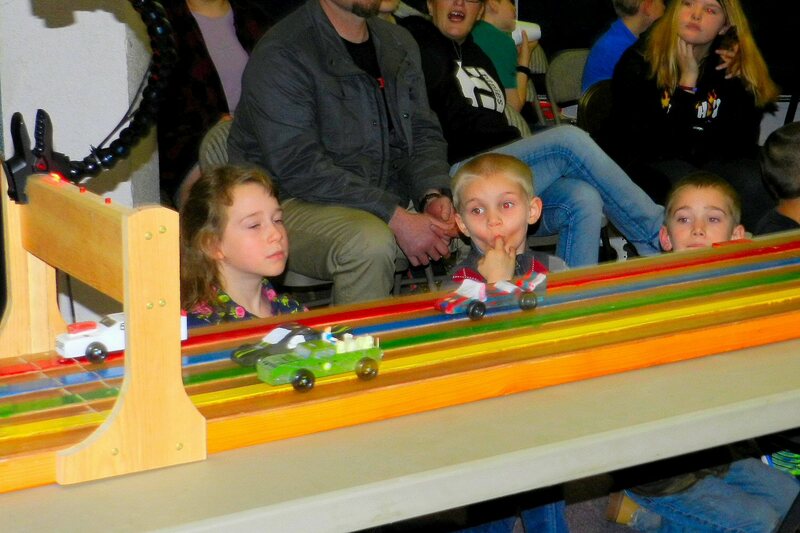 Hunter Whitaker won the Awana Grand Prix Race on Thursday evening at Intermountain Baptist Church. The average time for Hunter’s car was 2.871 seconds. 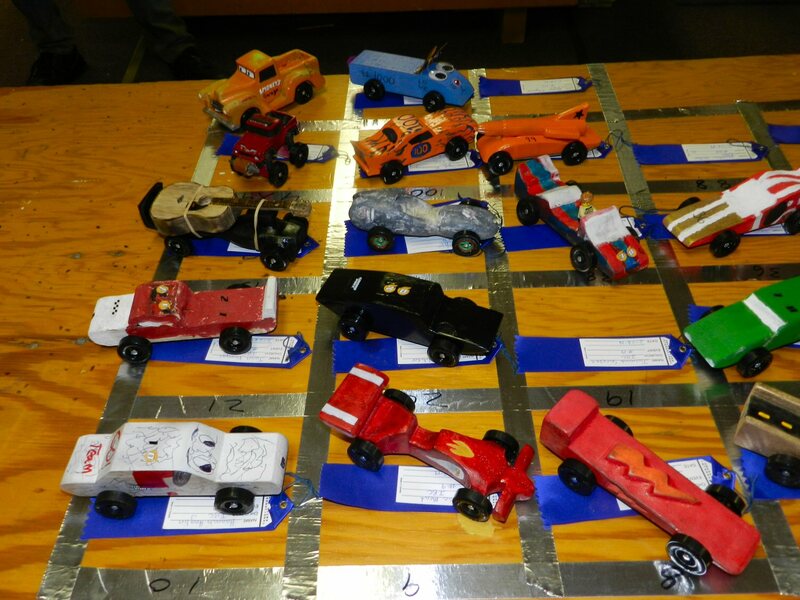 Shadrach Hennessey won best car design for the Spark age group competition, and Matthew Hennessey won best car design for the Truth and Training (T&T) age group. 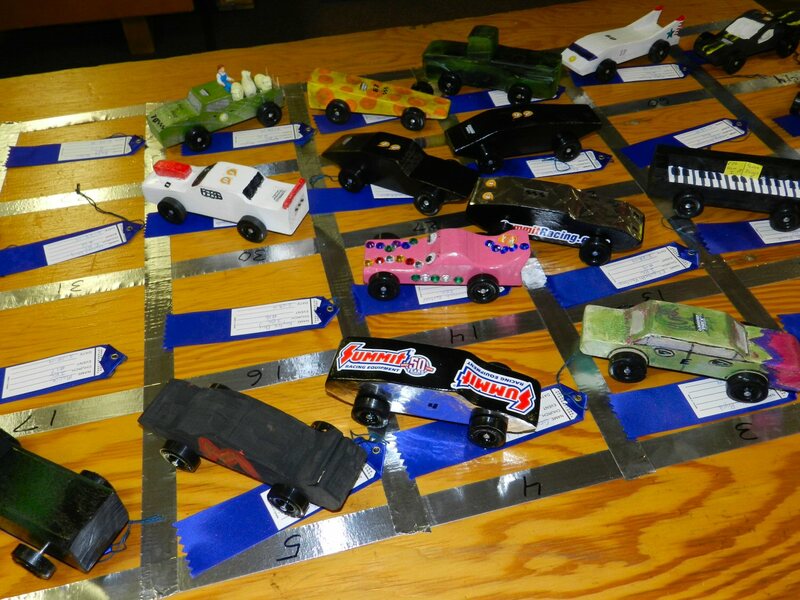 More than 100 people came to watch as 35 cars built by children in the Awana youth program competed in the race. 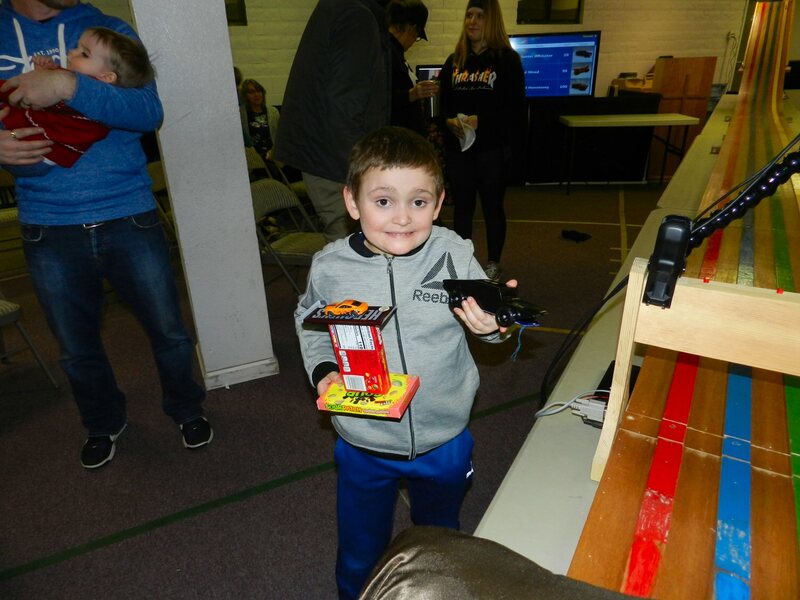 Each child built and designed his car from a kit including a block of wood wheels and axles. 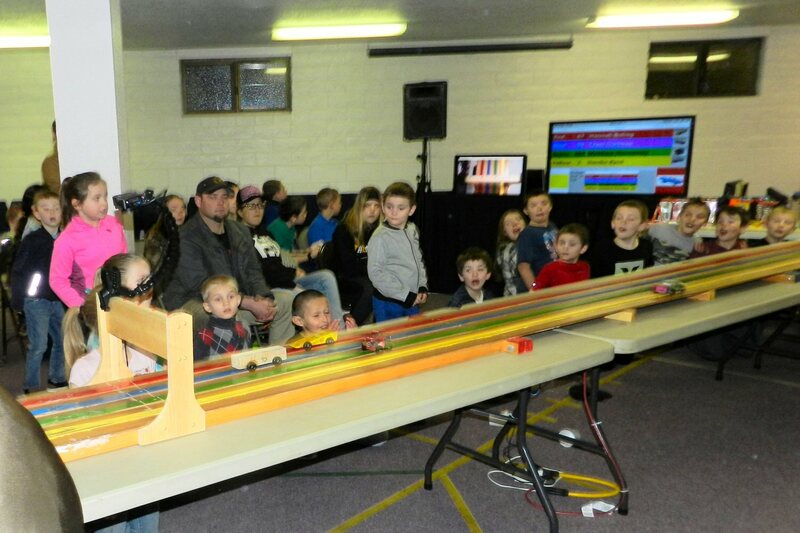 The race was conducted by Awana leaders Peter and Joshua Hennessey. Before the race Gerry Mead, who oversees the Awana program at Intermountain Baptist, gave a short talk in which he told the children that life is like a racing event. The goal is to reach the finish line. The finish line is to make it to heaven. To make it to heaven one needs to believe in Jesus. Then, the race was on. 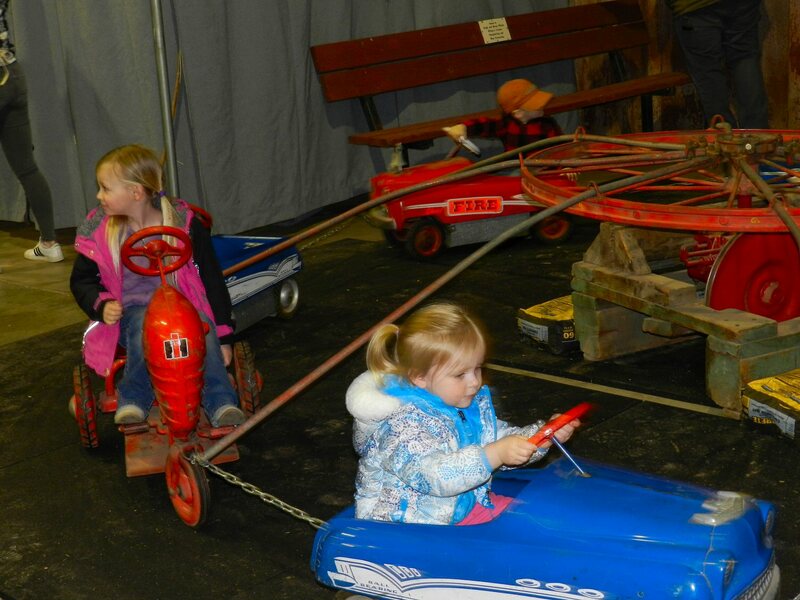 The cars race in four lanes. 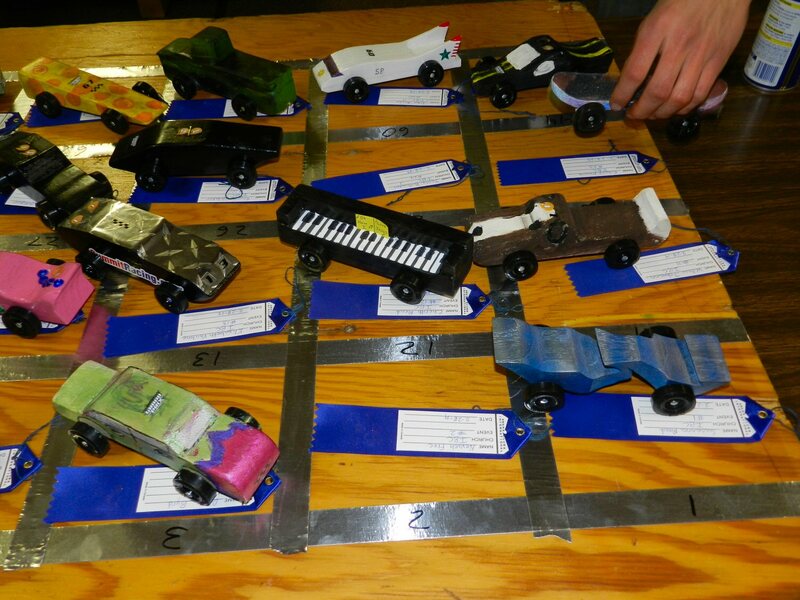 Every car ran four heats so that they all had a chance to compete in each lane. Times were determined by an electronic device at the finish line and the average times for all four heats were determined by computer. Hunter’s car not only won the race but his car beat last year’s winning time in all four races. 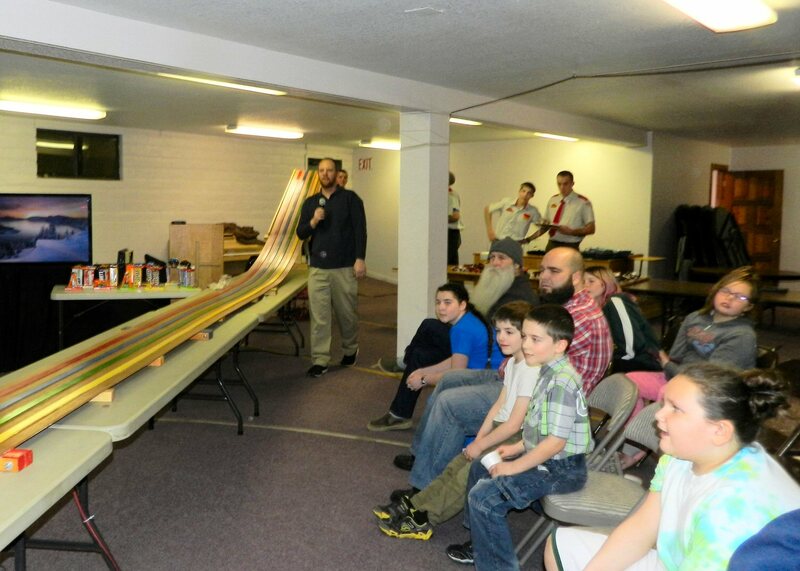 About sixty children from the Burney area participate in the Awana program that is held each Thursday evening from Fall through Spring. 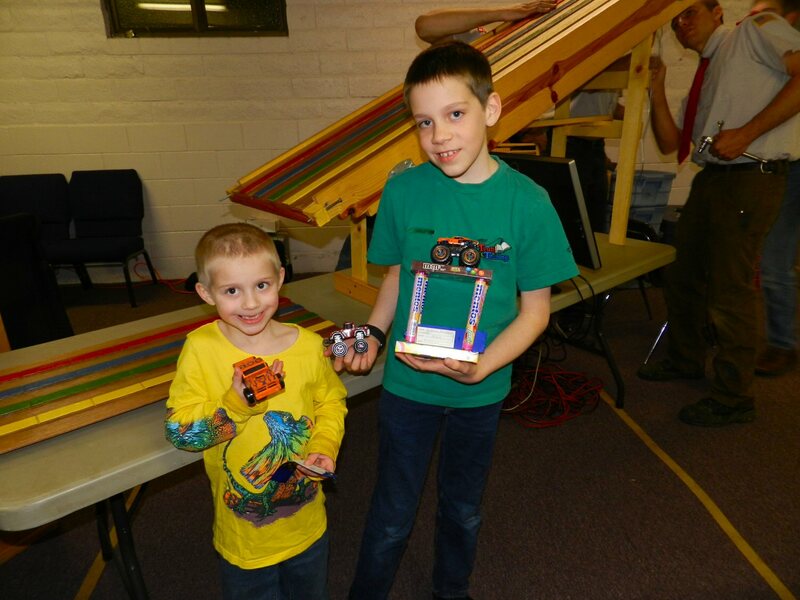 Awana is a world-wide nonprofit ministry focused on providing Christian youth education for children ages 2-18. It was founded in 1950 in Illinois and has expanded throughout the United States and the world. Currently, Awana works through 58,000 churches throughout the world to serve 4 million children in 120 counties. The name Awana is derived from the first letters of “Approved Workmen Are Not Ashamed” derived from 2 Timothy 2:15. The program includes two age groups, Sparks for younger children and T&T for older youth. 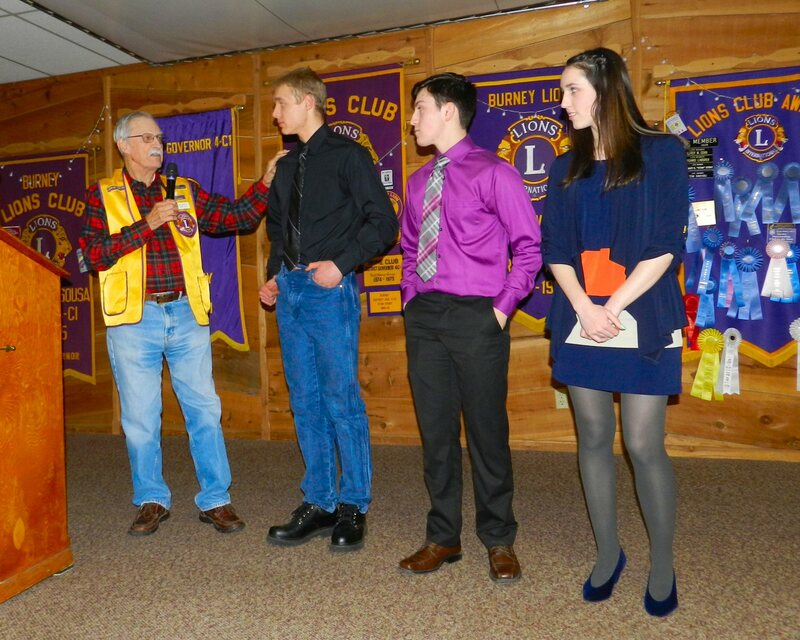 Sophomore Cade Harner won the 2019 Student Speakers Contest at the Burney Lions Hall on Thursday evening February 21. Harner competed against two other Burney High School students, Senior Noah Bishop and Junior Paris Deaton-Geisler. Melissa Madden, activities director at Burney High School, helped to coach the students in preparation for their speeches. Lion Dr. Bill Cummings officiated the contest. Charlene Charlene Sickler, Sally and Rodney Armstrong, and Jill Barnett served as judges. After all of the scores were tabulated, Dr. Cummings announced the winner. 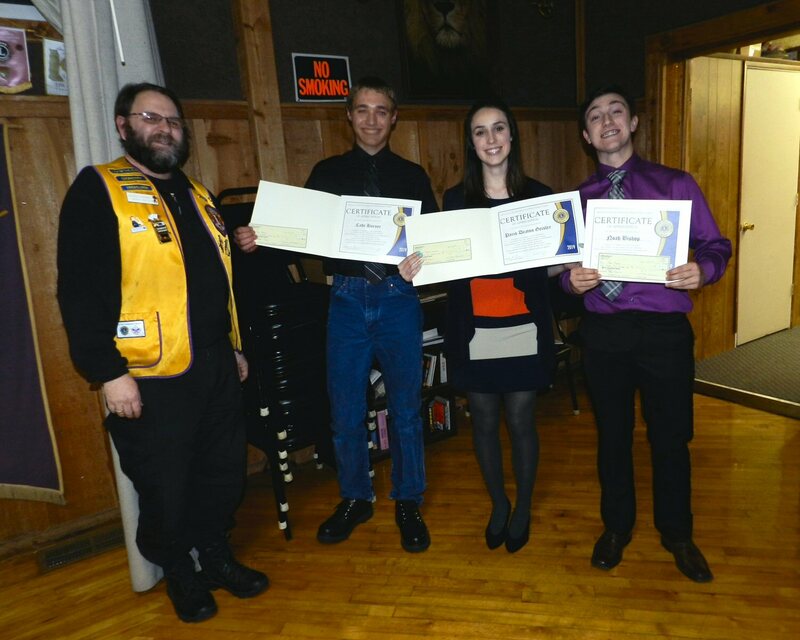 All three participants were awarded certificates and presented with a check by Lion George Chapman. Harner won $100 for first place. The other speakers each received $25. 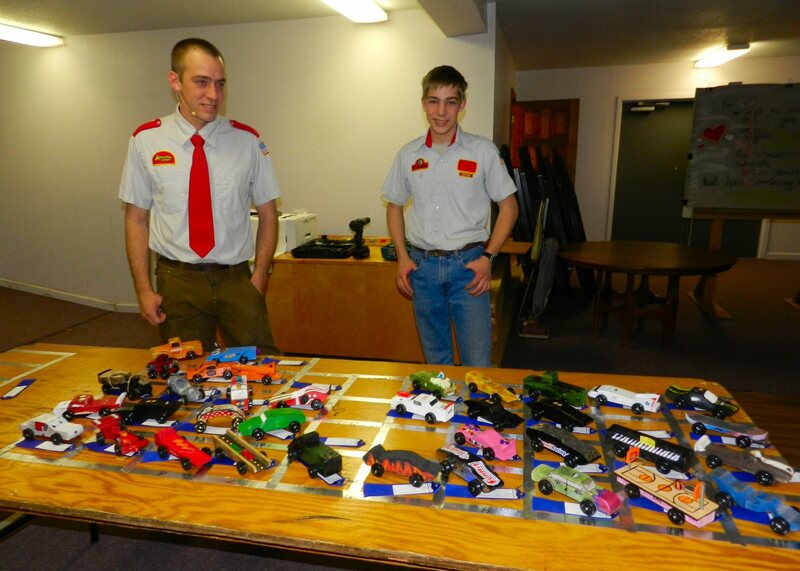 The Club level contest is the first level of completion in the 82nd Annual Lions Multiple District Four Contest. Harner will now advance to the Zone level contest. 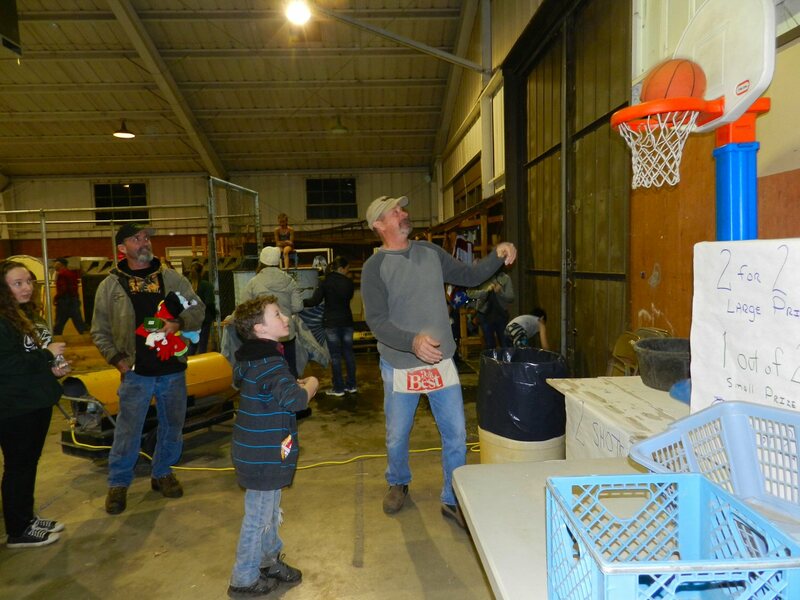 Lions Clubs throughout California and Nevada are holding club level contests during the month of February. Winners will advance through several levels to reach the District, Area, and Multiple District Four Contest. 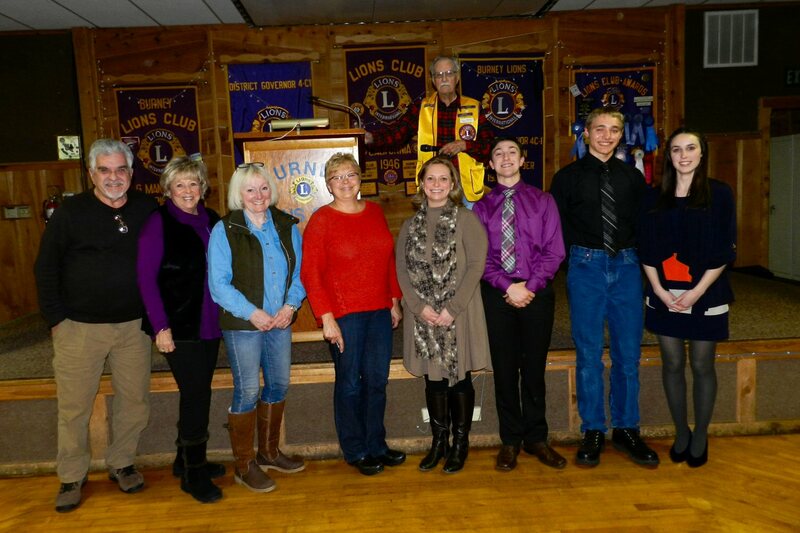 Altogether, the Lions Fourth District Student Speakers Foundation will provide scholarships totaling $103,500.00. Fifteen District winners will each receive a $4,500 scholarship. Four Area winners will each receive an additional $6,500 scholarship, and the winner of the Multiple District Four Contest will receive an additional $10,000.00 scholarship. Grant applications and guidelines can be found on the SRCF website at www.shastarcf.org/grants. The deadline for applications via the online system is March 13 at 5:00 p.m. Traditional funding opportunity of The McConnell Fund to provide for capital and/or equipment expenditures is also still available. The deadline for these applications is also March 13. 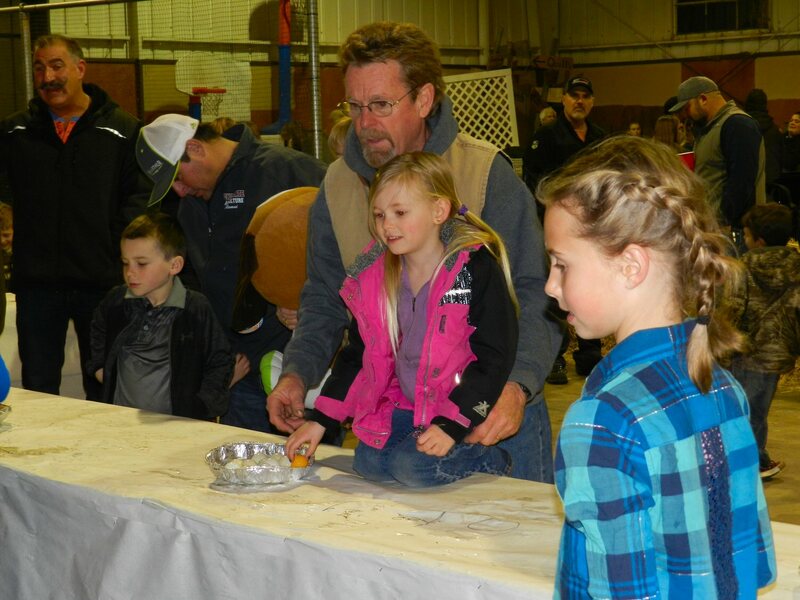 The Burney Regional Community Fund that was established to address the needs within the communities of the Greater Burney Region. Grants from this fund are awarded to nonprofit organizations in the region through a competitive process. The deadline for applications is March 6. The Redding Rancheria Community fund established by the Redding Rancheria, a federally recognized Tribe whose members are of Pit River, Yana and Wintu decent. This fund was established to give to worthy causes in the surrounding communities. The deadline for applications is March 27. 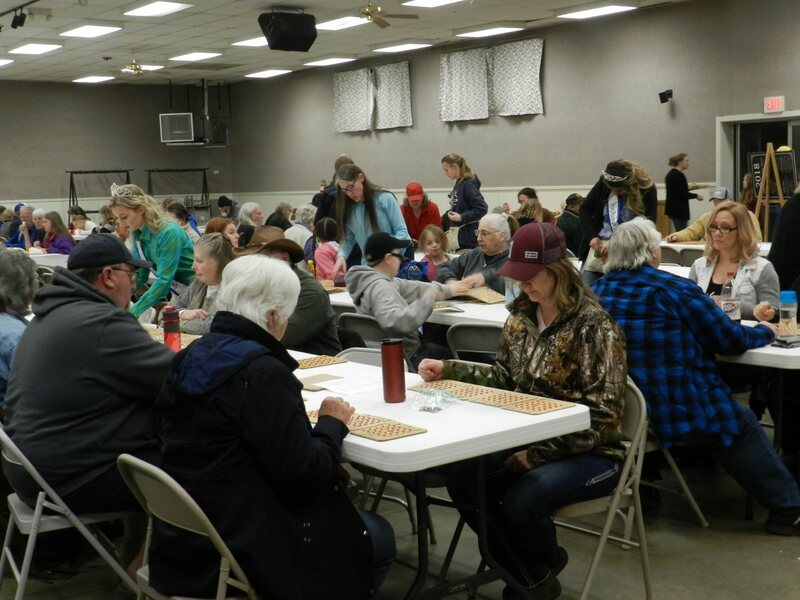 The Animal Welfare Endowment Fund created to provide for the care of animals in Shasta and Siskiyou Counties. As the fund grows, grants will be made to nonprofit organizations who promote animal welfare such as support for: rabies clinics, spay and neuter services, animal rescue, animal rehabilitation and more. The 2019 deadline has not yet been announced. The window for applications is April until the deadline sometime in June. Community Arts Endowment Fund that began in 2010 as the Articipate Campaign and is now the Community Arts Endowment Fund at the Shasta Regional Community Foundation. The fund allows grants for the presentation and creation of “new artistic work” to be given in support of artists and art projects such as visual public art, murals and sculptures, and other graphic art forms displayed or presented in public areas in Shasta and Siskiyou counties. The window for applications is April until the deadline sometime in June. The Women’s Fund of the Shasta Regional Community Foundation began in February 2008 with a founding cabinet of 10 women, representing diverse backgrounds, ages, and perspectives, all from the greater Redding region. The Deadline for applications is September 4, 2019 with an Application Window from June until the Deadline Date. 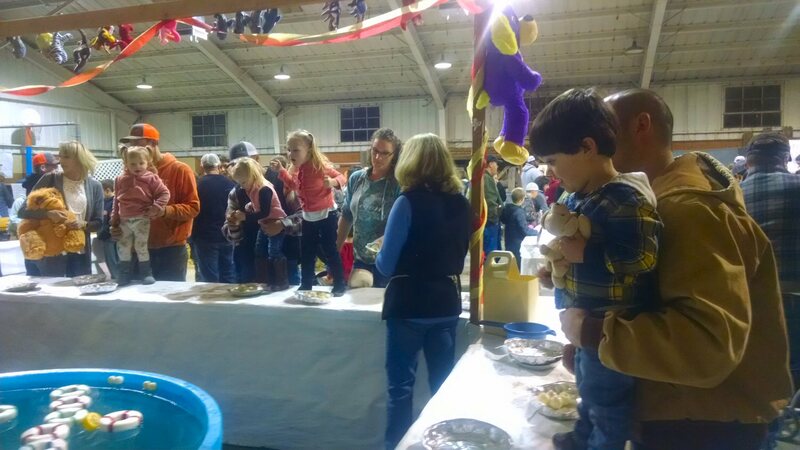 Information about Shasta Regional Community organization and all of these funds can be found on the SRCF website https://www.shastarcf.org/. In addition to applying for grants, organizations and individuals who want to support the work of all of these funds are encouraged to contribute. SRCF has also established a Community Disaster Relief Fund that has been enabled to receive donations for those in the North State impacted by the Carr Fire. The fund focuses on both the short and long-term recovery. 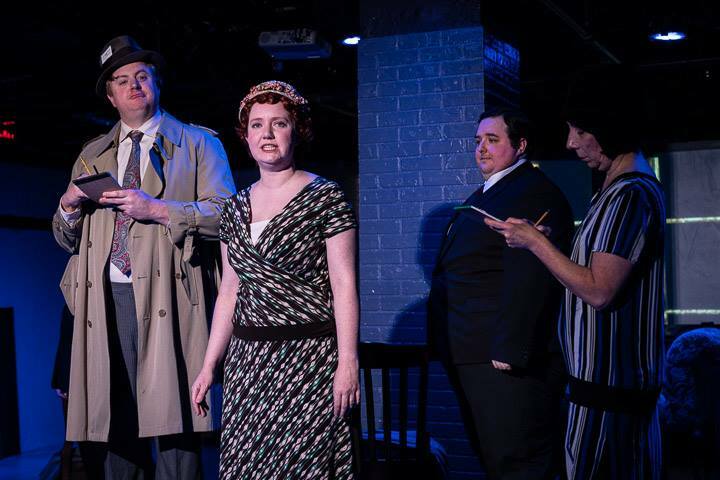 Raymond Berry’s great granddaughter, Dena Transeau, is currently appearing in a play in Frederick Maryland, “Radium Girls,” about a case that Ray Berry litigated in New Jersey in the 1920’s. Raymond Berry played a major role in Burney history from the 1940’s into the early 1970’s. As an attorney for the Starr family he came to Burney to assess timber properties which the Starr family estate owned. In the 1940’s he moved to Burney, helped to incorporate the Scott Lumber Company, and served as its general manager for nearly three decades. During that time he also helped start the Burney Chamber of Commerce, negotiate the extension of the McCloud railroad into Burney, and start Shasta County Bank that later merged with Tri-Counties Bank. Before he came to Burney however, he represented a number of young ladies in the late 1920’s who had worked for the United Radium Company in New Jersey. The case is considered a landmark case in labor, women’s rights, and class action law. The young women painted the numbers on watch dials with small brushes. They were encouraged by their employers to lick the tips of the brushes with their tongues. After a period of time many of them became seriously ill from radiation poisoning. Some of them glowed in the dark. Some died. No one would take the case because the corporations were so powerful and many thought that the statute of limitations had passed. 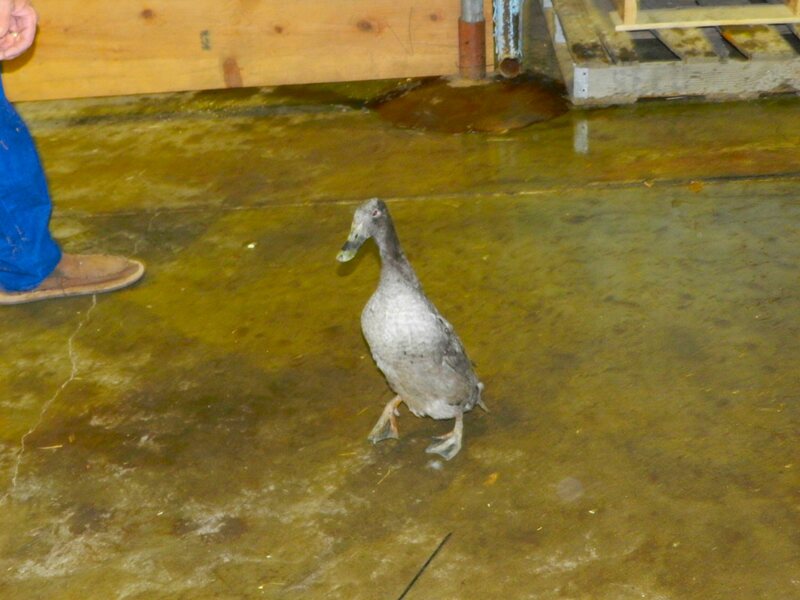 In a last ditch effort, one of the girls found a young Yale-educated lawyer who agreed to take the case. He established that the statute of limitations did not begin until the cause of the illnesses had been established and succeeded in winning a substantial settlement for five of the victims. The case was well known in labor law history but not widely publicized in popular culture until the last few decades. 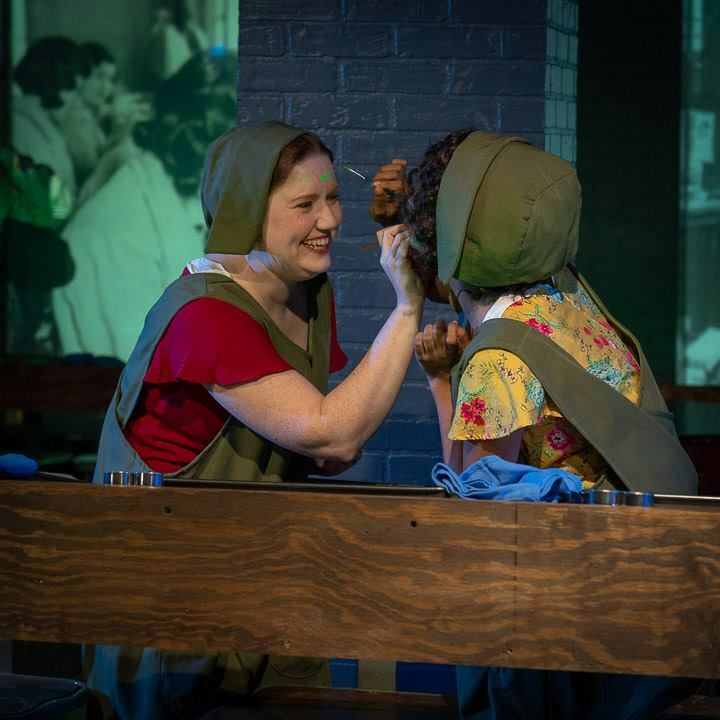 The play “Radium Girls” was written in 1999 by D. W. Gregory and has become a popular play for youth drama. 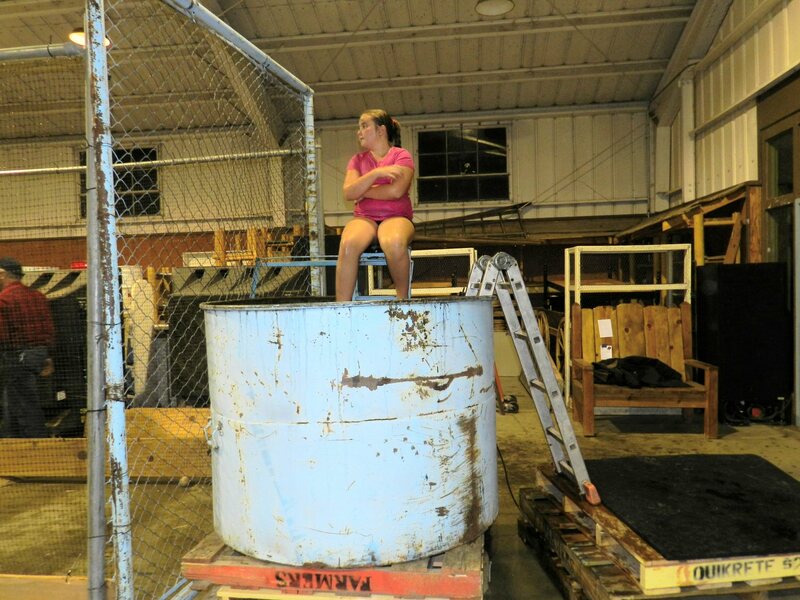 In 2018, it was named one of the ten most popular plays for high school drama. Gregory lives in Silver Spring Maryland and visited Frederick to offer advise on the production of the play. Dena plays several characters in the play – one of the girls who dies, and also Katherine Wiley, executive director of the New Jersey Consumer’s League who helps the girls. She leaks the story to the press, creating public outrage, and finds a lawyer Ray Berry to take the case. In 2016, a British author Kate Moore also published a book, The Radium Girls: They Paid with Their Lives. The Final Fight Was for Justice. In 2017, I also talked with a producer who was making a movie about the radium girls and another who was producing a documentary. 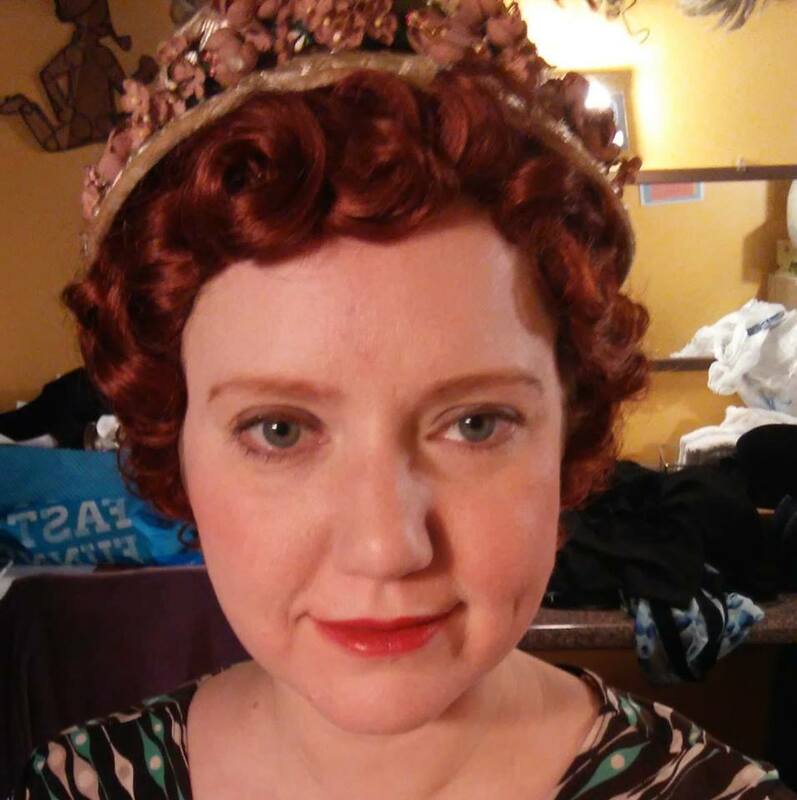 Incidentally, Dena was married last September in the theatre where she is performing. She had planned to be married on the beach in North Carolina but the location was changed at the last minute when a hurricane hit the Outer Banks. Her casting in the play came about as a result of the hasty change in venue. Dena Transeau (nee Colvin) is the granddaughter of Ray Berry’s eldest daughter Alice B. Stone, and the daughter of Alex and Linda Colvin who live in Burney.